Thirteen-year-old Motswari was a member of an eight-vulture cadre, spirited off to the US to breed chicks in a race against encroaching doom. Motswari was around eight months old when she smashed into a power line in South Africa, sending her into a violent spiral toward the ground. She survived, but the injury robbed her from the key trait for vultures to eat and to live. Motswari's cream, black-tipped wing was shattered. She could no longer fly. But as a member of a long-dwindling population of Cape vultures, an important link in the ecosystem now endangered by human activity, Motswari was still vital. Perhaps even existentially important to what's left of her species. Motswari was a member of an eight-vulture cadre spirited off to the United States to breed chicks in a race against encroaching doom, said Kerri Wolter, the chief executive and founder of VulPro, a South Africa-based conservation group that helped get Motswari and others to the country. She settled at the Cheyenne Mountain Zoo in Colorado Springs, Colorado becoming an icon for awareness and fundraising for the often maligned and vastly misunderstood birds, Wolter told The Washington Post. On Monday, the skies over the zoo were choked with softball-sized hail. It raked enclosures and struck guests, staffers and animals alike. One visitor's video shows hail plunging into the water at a bear enclosure and violently churning the water like a wave thrashing a rocky shore. 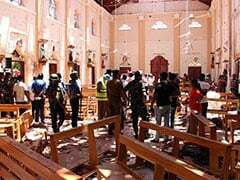 At least fourteen people and a number of animals were injured, and hundreds of cars were damaged. The guests and staff were evacuated. A 4-year-old Muscovy duck named Daisy was killed. Motswari, too, lay dead. She was 13. Every dead Cape vulture impacts the species, which has declined as much as 94 percent in three generations, Wolter's group said last year. But there are fewer than 20 in the United States, where conservationists focus on breeding in an effort to release more in the wild, Wolter said. Their work demands genetically pure birds - hatched at the glacial pace of one egg per year - to avoid specimens weakened by inbreeding. Their offspring heading back to Africa need to be tough. Mostwari was as tough as they came, a mother in her breeding prime. "It's a massive loss," Wolter said of her death. Cape vultures crisscross southern Africa in a vast network, stretching from Namibia, Botswana, Lesotho and others. One tagged vulture visited eight countries in eight days, soaring high to scan the ground for dead animals to scavenge. The vultures can eye potential meals from up to nearly four miles away, Wolter said. And they signal each other using movement; one vulture finds a carcass and begins circling, and responding birds in the area form a direct flight path, like the churning arms of a galaxy. Their colonies, perched on ledges judged from high mountains, can include hundreds of birds. They are communal and friendly. "The more the merrier" in the colonies, Wolter said. 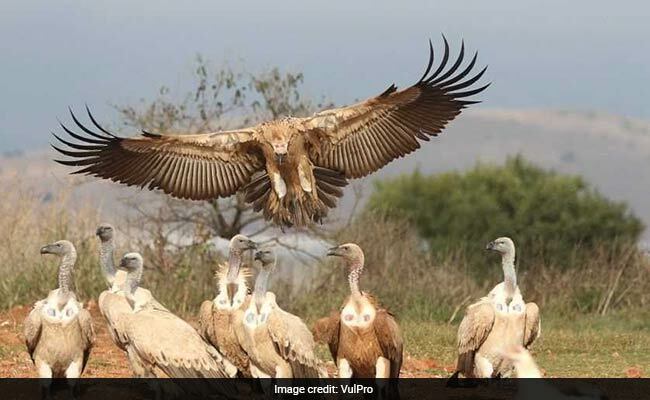 Yet the popular conception of vultures as filthy, aggressive birds choking down rotten meat have stained the image of vultures, which can blunt conservation or awareness efforts, Wolter said. People tend to envision the Looney Tunes version - divebombing, mean-spirited animals. Or, their mind reaches for perhaps the most prominent image of the bird: Kevin Carter's 1993 photo of a vulture leering over a starving child in Sudan. The Pulitzer-winning photo shocked the world and spurred calls for humanitarian intervention. But the photo was widely misinterpreted, Wolter said, and people thought of the bird as a feathered Grim Reaper. Vultures eat things that are dead but not decomposed. It was likely around to eat scraps, and some even eat human waste. So it was probably keeping the area clean. It would not eat a child alive, or even recently dead. It's not strong enough, Wolter said. "That did a lot of good for Africa," Wolter said of the photo, "but a lot of bad for vultures." Around 4,200 breeding pairs remain, she said, and Africa would benefit from a reversal in their fortunes. If they can get to carcasses first, their iron stomachs help protect them from diseases that ravage people and animals, blunting diseases like Anthrax, tuberculosis and rabies, Wolter said. That also helps reduce places where vectors like blowflies can pick up and transmit bacteria. Losing vultures, then, could prove "disastrous" for people and livestock, she said. Wolter arrived at vulture conservancy by accident, she said, but found them captivating. They're survivors, overcoming gangrene, broken wings and harsh conditions. They eat poison in carcasses that farmers leave to kill predators, and some are electrocuted on power lines veined across southern Africa. Others, like Motswari, smash into them, leaving the birds dead or injured. Poachers will also kill them so they do not alert authorities to illegal hunting. And yet, they persevere. "Once you spend a bit of time with them, and get to understand their intricacies and personalities, a person is never the same," Wolter said. It is unclear what the circumstances were that led to Motswari's death. The zoo did not respond to a request for comment. In its statement, the zoo said it was closed Tuesday so officials could clear debris and survey the "significant damage" to determine its reopening date. The zoo described the storm as expected but the hail as "out of the blue." It also unclear if the zoo had confirmed all animals were alive apart from Motswari and Daisy, or how many other Cape vultures the zoo now has, if any. What is clear is the loss Motswari represents. Captive breeding remains a cornerstone of their survival. There are dim prospects for the installation of bird-friendly power lines, or bannning poison used by ranchers. Cape vultures transcend borders and laws. But Wolter thinks transnational policies can be enacted with the right kind of advocacy. "Unless we do that," she said, "they won't stand a chance."